Like the country he represents, Captain America has changed a lot over the years. Though the 75-year-old super soldier was born as a reaction to fascism, Cap has gone through all manner of cancellations and team changes, appeared in various shows and PSAs, and come out the other end of Marvel’s cinematic universe as a protofascist bully with lingering PTSD. 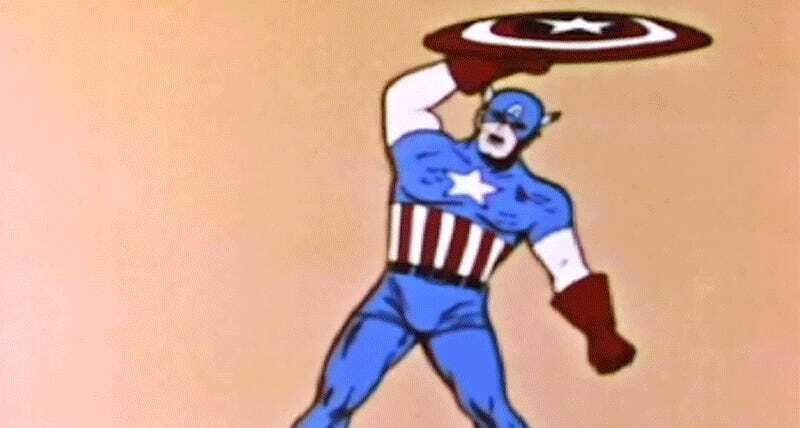 Burger Fiction has compiled every Captain America appearance on the big and small screen, from the eponymous 1944 television serial to cameos in X-Men: Evolution, Robot Chicken, and in MAD’s parody of Adventure Time. Cap’s ability to adapt to the times must explain why he still resonates with audiences long after the war that birthed him has ended.